When a business is kicked off, everyone hopes that it will be successful. However, it is commonly seen that startups have a very high rate of failure in the first year itself due to a variety of reasons. One of the most common reasons is the lack of adequate capital. It is therefore extremely important for entrepreneurs to plan out the funding requirement and the best ways of obtaining the funds before actually commencing operations. For those not in the know, angel investors are essentially private individuals with large amounts of capital at their disposal. They are willing to invest in businesses with very good potential so that they can earn a handsome return on investment when they divest their shareholding after the business grows to a certain size. The angel investors have a close-knit community so if you have a good business model, you could have a number of angel investors coming in as a group for a slice of the pie. The advantage of angel investment is that along with the funds the investors can offer valuable mentorship that can make all the difference between success and failure. Angel investment, however, may not work in situations requiring large amounts of capital. Typically venture capital funds have millions of dollars at their disposal from high net worth individuals and are managed by professionals whose only business is to spot ideas with very high potential for growth and profits. Not only are they ready to infuse the necessary capital if they are convinced about the business potential but also take an active interest in the management of the business so that their interests are adequately protected. Their investment normally has a pre-defined time horizon after which they will divest their shares to other investors or lead the business to its IPO that will enable them to exit from the investment. While venture capitalists can cater to all the fund requirements, they will put their interests above all and this could lead to a difference of strategy in the medium-term and the long-term. When the capital infusion is very large, the business owner may end up losing control over the company. If the business funding requirement is relatively small and the business model needs to evolve, it could be a good idea to seek assistance from business incubators. They are focused on supporting and nurturing the business until it reaches operational stability and profitability. If you are looking to fast-track the business, then business accelerators may be the right choice as they are geared to aggressively growing the company. The distinct benefit of this route is that a very high level of handholding and mentorship is available and often the incubators provide networking opportunities with other startups to leverage their learning experiences. However, tying up with an incubator with commitment is essential as otherwise, adequate support may not be available. Own savings are typically the first source of funds for any entrepreneur planning a startup. Apart from using your savings, you can also approach your family and friends to help you out with the initial round of funding. Obtaining funds from family and friends is a good method since they will be flexible about the tenor of the loans and perhaps even waive off the interest so the funds will be really cheap. Other advantages include easy access and no bureaucracy; however, it works only when the requirement is modest. It is not uncommon for businesses to start off with personal loans that can be easily accessed from online lenders. Crowdfunding has been made possible by the deep penetration of the Internet that allows startup owners to impress a community of investors with a grand idea with solid business potential. The idea can be pitched on a crowdfunding platform to people who are enthusiastic about the concept and are willing to contribute funds and support the business. The funds may be given by the individuals as donations or as advances against the first deliveries of the product at a price less than the market price. For a business that has a good concept and a workable business, crowdfunding is not only is a good way of raising funds but also serves to create public interest among a vast audience helping it to more easily market the products. With crowdfunding, it is possible to avoid the complications of dealing with hard-nosed investors and brokers and deal with ordinary people. However, crowdfunding can become difficult if there are many competitors hawking the same business idea or if your marketing pitch doesn’t have the necessary depth or polish required to excite the investors. Since small-scale entrepreneurs find it difficult to access funds from banks, non-banking financial companies and microfinance companies provide loans of relatively small amounts for getting a business rolling even when the founders do not have a very good credit rating. The advantage of microfinance is that there is considerably less bureaucracy and a lot of credence is placed on the individual’s standing in the local community and what he is trying to achieve. As the term suggests, microfinance can support only to a limited extent but can lay the foundation for approaching conventional banking channels for loans. 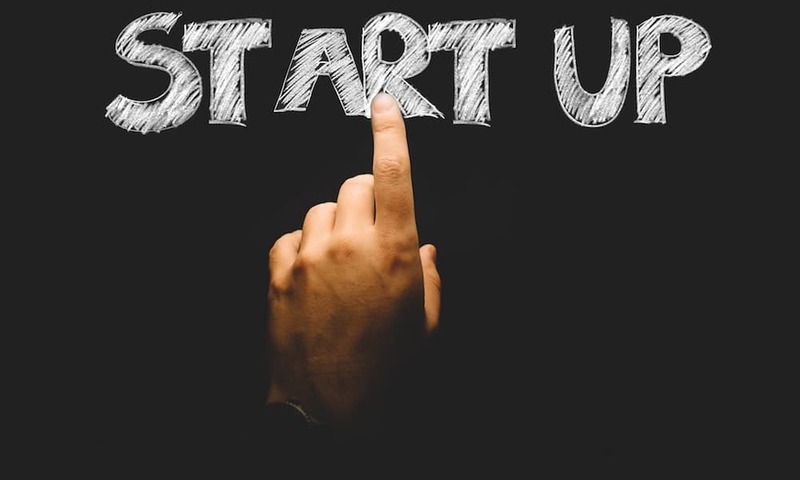 There are a number of programs conducted by governmental agencies to encourage entrepreneurship that offers businesses the initial startup funds. Typically, you will be required to submit the business plans and projections for review by a grants committee and the funds are made available if the plan meets with their approval. Government funding is usually generous and allows enough for both equipment and working capital. The application process, however, is time-consuming due to the typical governmental bureaucracy. The type of funding that you opt for is a function of many variables, including the quantum and the urgency. Entrepreneurs, however, must remain flexible in their approach and be ready to switch to alternate channels to take advantage of market opportunities and to preserve management control. Amy Walsh is an experienced and skilled business consultant and Financial advisor. She helps clients both personal and professional in long-term wealth building plans. During her spare time, she loves to write on Business, Finance, Marketing, Social Media. she loves to share her knowledge and Experts tips with her readers.